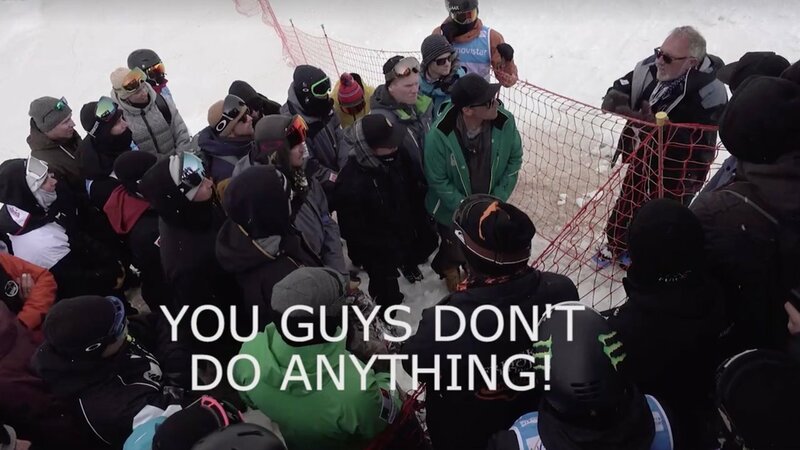 This video posted earlier today shows FIS Race Director (and head honcho of FIS Freestyle) Joe Fitzgerald telling frustrated skiers at the World Championships that they "don't do anything" and that what actually matters is TV and sponsors. It comes as slopestyle qualifications were postponed at the World Championships today, with the reported intention to run a 3-4 hour qualification session right before finals on Sunday. We hear riders complain event after event about how courses are poor, how whole finals are cancelled with next to no consultation and how difficult in general the process of dealing with FIS is. Nothing changes when the skiers complain and I expect very little will change now. But this is a nice public reminder of exactly how FIS views the riders in our sport. Big thanks to Swiss Freeski for posting this and giving everyone a behind the scenes look what FIS are truly like to deal with. Emile Bergeron, Dom Laporte and more Quebecois street slayers take to the backcountry. Screening party presented by Vidéotron at the FIS World Cup Finals in Quebec.